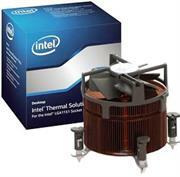 The Active Thermal Solution Intel BXTS15A High Performance Air Cooler for Unlocked Skylake Socket 1151 CPUs from Intel is designed to help keep your system cool. It supports 6th Gen Intel Core 130W TDP Skylake processors using the LGA 1151/1156/1150 socket, while also being backwards compatible with Intel 4th Gen Haswell processors. Featuring fan speeds of 1000 - 3850 rpm (4-wire PWM), its noise level is 25 dBa @ 2100 rpm and 40 dBA @ 3850 rpm and it is shock and vibe compliant, as well as keep out safe. The Active Thermal Solution TS15A is not designed for overclocking and its thermal interface material is DOW Corning TC - 5630. 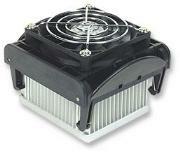 Manhattan Cpu Cooler Pentium® IV P4, 478 pin Retail Box Limited Lifetime Warranty. Improve computer efficiency and service life. Computers and their internal components can generate large amounts of heat during operation. Without reliable and efficient cooling, this heat can contribute to poor performance and lead to a shorter service life. MANHATTAN CPU Coolers conduct and dissipate heat away from processors to reduce the risk of heat damage and help them operate at safe temperatures and peak levels.